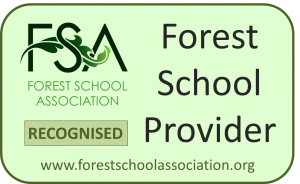 Chichester Forest Schools CIC provide forest school and outdoor learning for children, young people and families, engaging through nature and building relationships to provide holistic learning through play and exploration in woodland. Children learn to handle risks and use their own initiative to problem solve and cooperate with others. This hands on learning builds self -esteem, confidence and motivation. The skills needed to be effective learners. Click the activities to find out more.